Corporate Membership in the DNA puts your company in touch with key members of the dermatology nursing market. DNA members have decision-making authority, select treatment plans and are responsible for influencing compliance and patient outcomes. Your organization will benefit from increased visibility and access to these key practitioners and leaders. 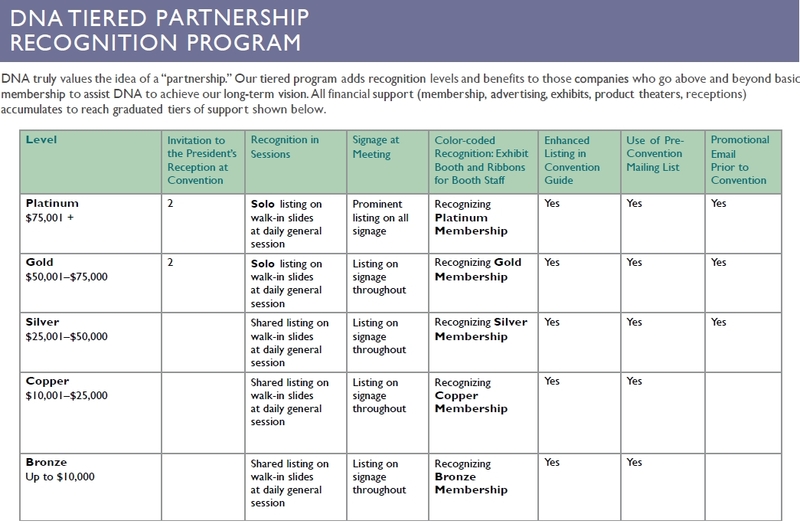 View the Corporate Member Program Brochure. View the Corporate Member Directory. For more information, please visit Corporate Support. 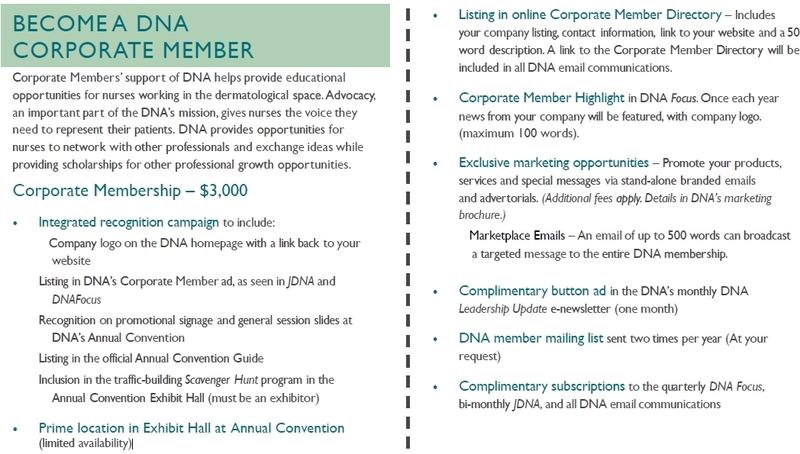 Strategic Sponsorship Packages are available by combining Corporate Membership with convention activities and recognition, plus year-round marketing opportunities that give prime access to DNA members. Keep your products and services top-of-mind for an entire year by upgrading your membership. Each company can decide at which level it wishes to participate. Levels of support range from less than $10,000 to over $75,000. The total level of support for each participating company is determined by cumulative support and contributions in a given year. Support and contribution opportunities include those associated with the annual convention, special educational projects, the DNA journal and awards, grants and scholarships provided by DNA to members each year. Learn more about support opportunities.